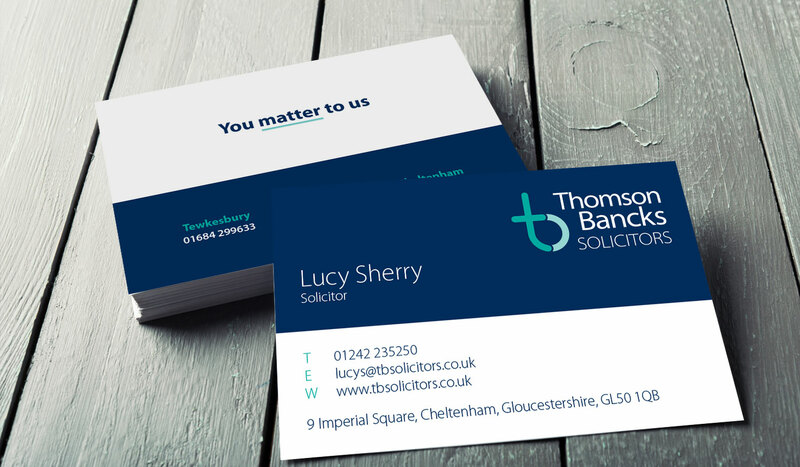 Thomson & Bancks Solicitors is a legal practice based across three offices; Tewkesbury, Pershore and Cheltenham. Their mantra is to be trusted and dedicated to their local areas, offering legal aid to both individuals and businesses. 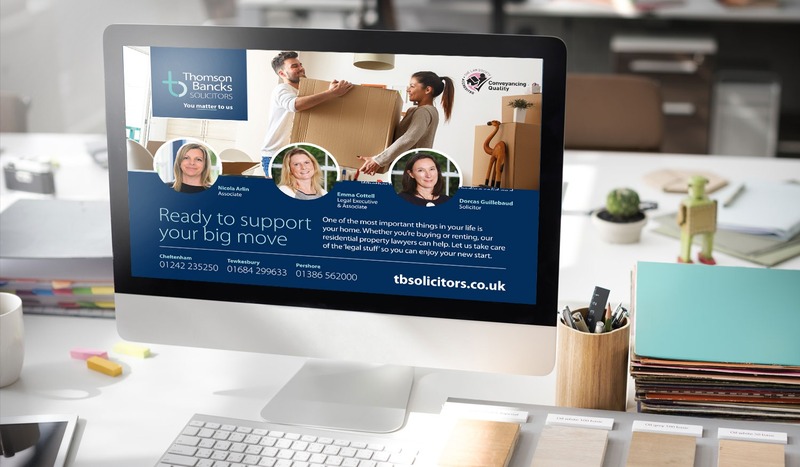 When we first met with Thomson & Bancks, they were seeking to move away from Quality Solicitors, the organisation that they had been members of for 2 years. 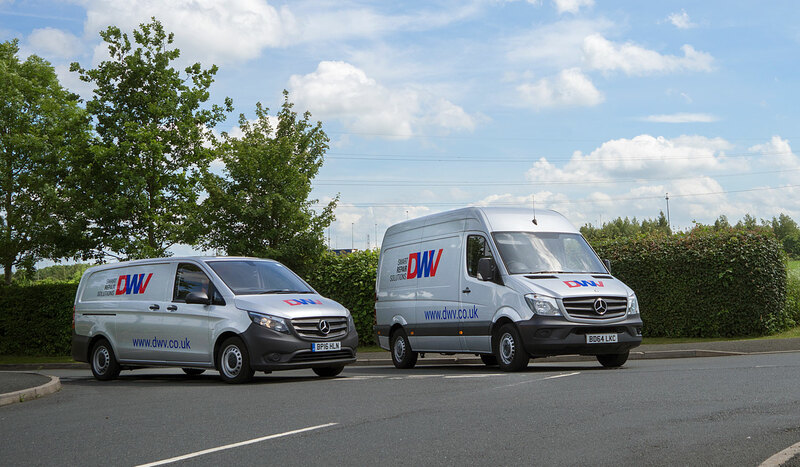 The move required a full revision of their identity and brand, with new printed literature and a responsive website top of their wish list. Designing a brand for both digital and print material as well a fully responsive website brings a certain set of challenges. S2F understand the requirement for consistency with each new piece of branded work that leaves the studio. 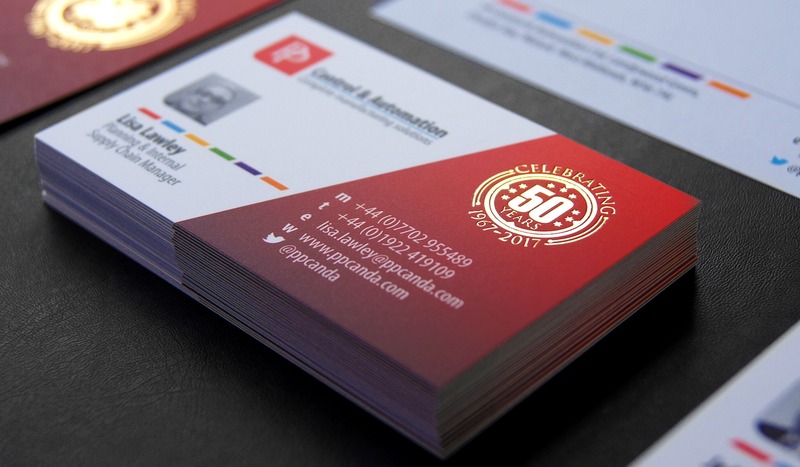 We make sure the brand is maintained across every platform; from advert submission to social media posts, or from new website content to printed service brochures. 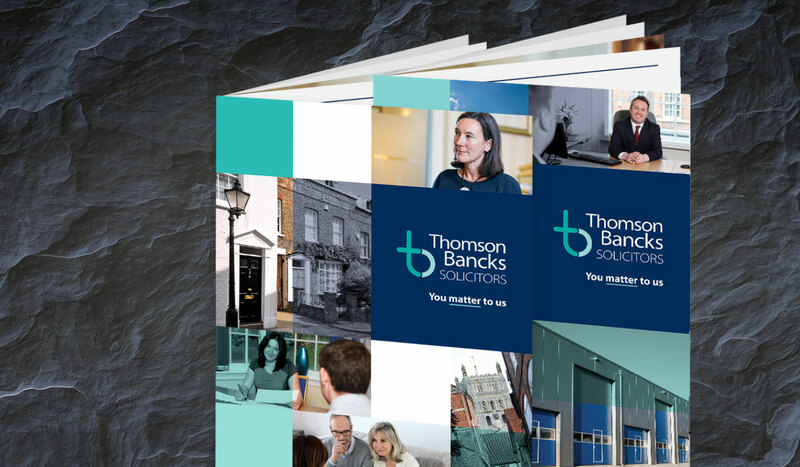 Through our virtual marketing service, we have been working closely with Thomson & Bancks, communicating without fail on a weekly basis and acting as their dedicated marketing department. 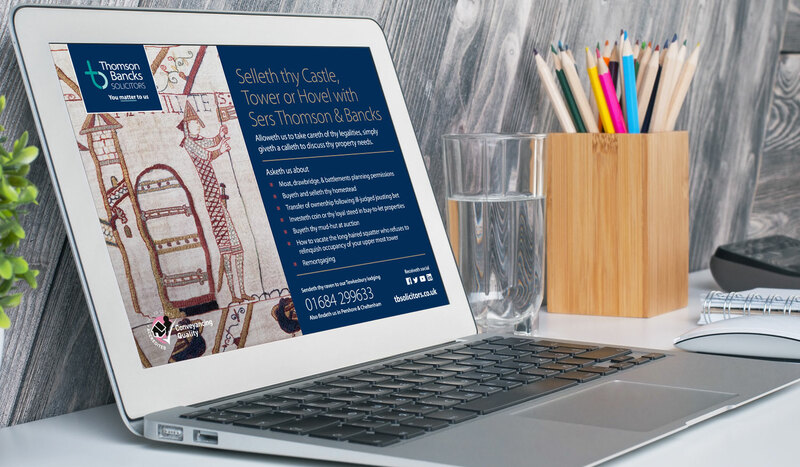 S2F deliver not only the day-to-day marketing requirements but also the more creative output required for specific events and publications, (Including a playful advert submission for the Tewkesbury Medieval Festival 2017). This brand consistency is evident also on their fully responsive website, which we knew had to serve as the home for local people to find informative and clear information on their legal services. “We were first approached by Thomson & Bancks to support their efforts in positioning themselves as the go-to experts in their regions. They were under a generic ‘Quality Solicitors’ brand, which did not align them as a premier brand in their geographical target area. Once a strategic plan was in place, we had the great pleasure of producing a new high quality brand and associated collateral. 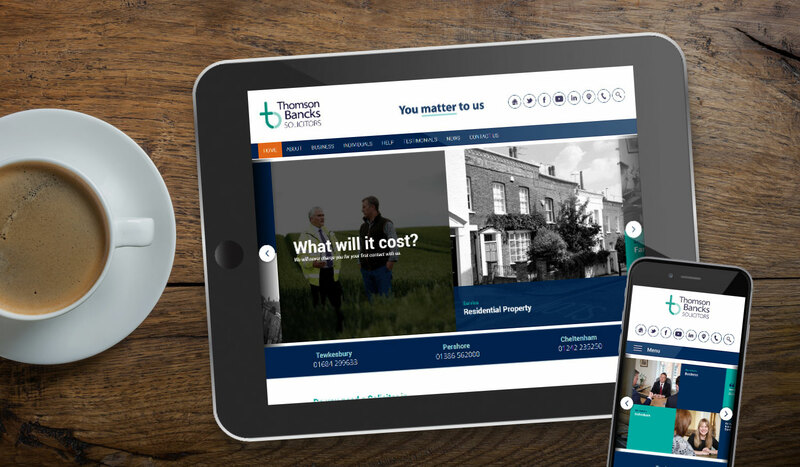 We are now pleased to say that Thomson & Bancks have achieved their growth objectives and greatly improved brand awareness. It is a pleasure to work with Start 2 Finish. They are very supportive in developing your ideas and brilliant at coming up with fresh, creative marketing. Alloy Wire International have worked with Warren, Steve and the team from Start2Finish for almost three years now and they helped us to progress our marketing to another level. From the initial strategic review S2F got to know our business model and helped us to develop a total solution for all our marketing needs. Both the teams at AWI and S2F have worked closely to develop a number of exciting marketing projects and S2F are very good company to have as a marketing partner. We have been working with S2F for a number of years now and their professionalism and creative design has taken our brand to the next level. By creating a structured and proactive marketing strategy for our company we have seen a huge increase in sales over this period. The brand identity and marketing support S2F have given us has been fantastic, elevating us above our competitors in the region.